With the PlayStation Portable on the brink of total irrelevance in the US, Sony is beginning the process of putting its last bundles together, which for anyone who hasn't yet got a PSP and won't be in the market for the upcoming NGP, aren't too bad a deal! 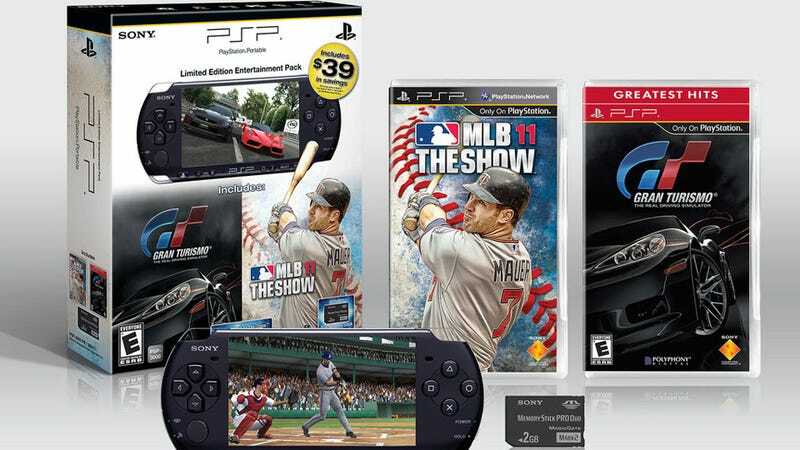 The first of these is the "Limited Edition PSP Entertainment Pack", which includes a PSP-3000, 2GB memory stick, Gran Turismo PSP and MLB 11 The Show. You get all that for $160.